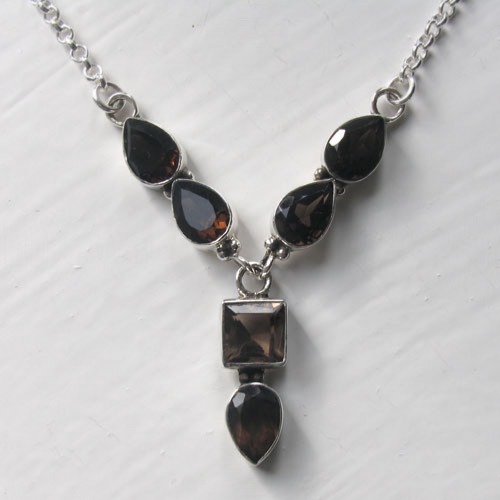 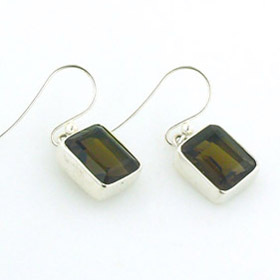 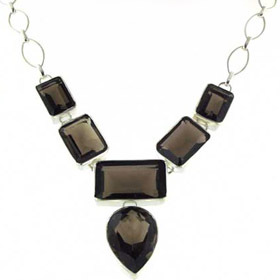 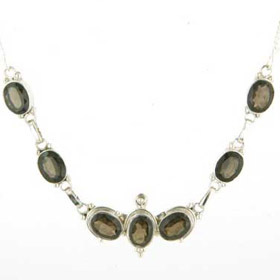 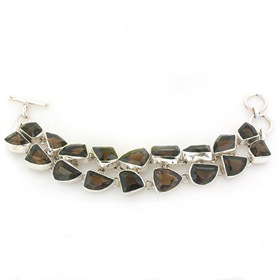 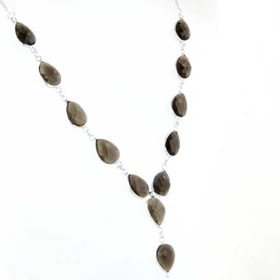 These are deep brown, richly coloured, smokey quartz gemstones which have a glimmer of amber when the light catches them. 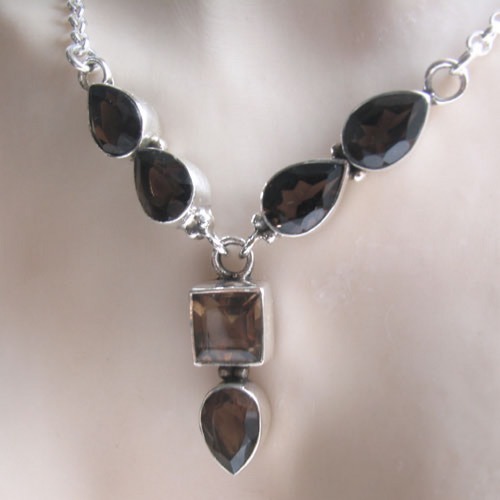 Beautifully feminine, perfect for all necklines and a wonderful sultry choice to accompany many colours. 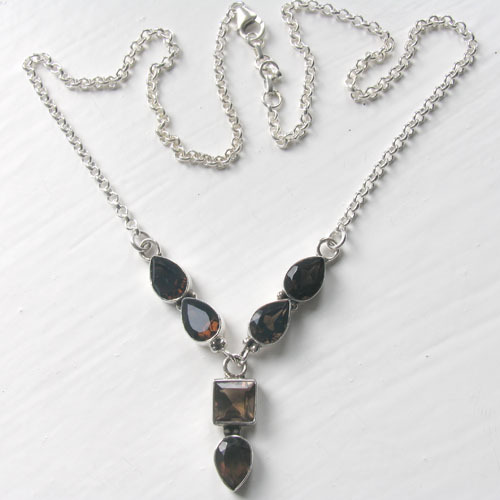 The necklace is set into sterling silver and is completed with a silver belcher chain. 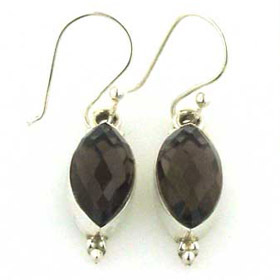 See Samantha for coordinating earrings. 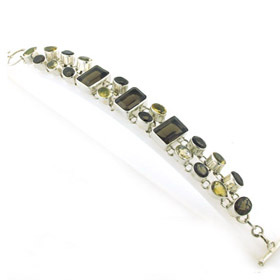 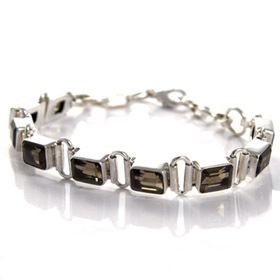 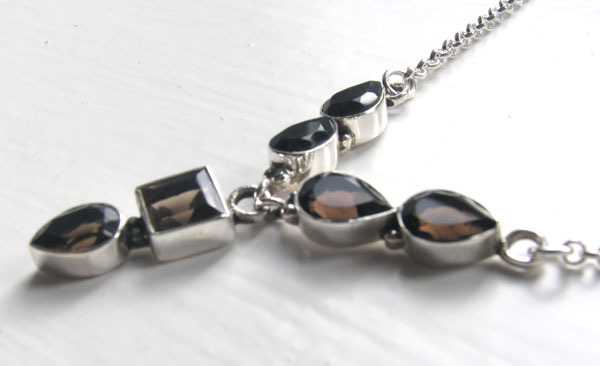 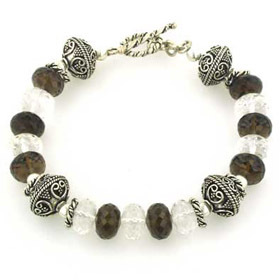 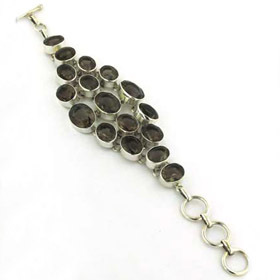 Make a jewellery set with a smokey quartz bracelet!